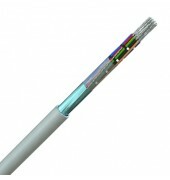 Use in application where balanced lines are not required like RS232, instrumentation and sound application. Low Smoke Zero Halogen version are available where indicated or upon request. The material for insulation and sheath can be replace by those that do not emit halogens and toxic smoke. 24AWG: Tinned copper conductor 24(7) AWG, 0,22mm2, PVC insulation, cores laid up, overall aluminium/polyester foil screen, tinned copper drain wire (24AWG), PVC sheath. 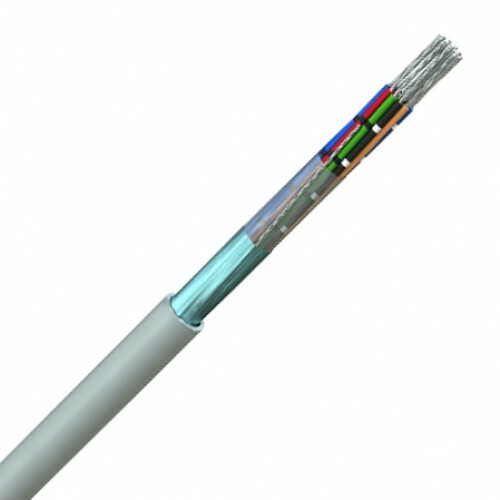 18AWG: Tinned copper conductor 18(19) AWG, 0,79mm2, PVC insulation, cores laid up, overall aluminium/polyester foil screen, tinned copper drain wire (20AWG), PVC sheath.